Martin with Richard Hamblyn write a guest post for Urbantick’s Ecological Urbanism series. 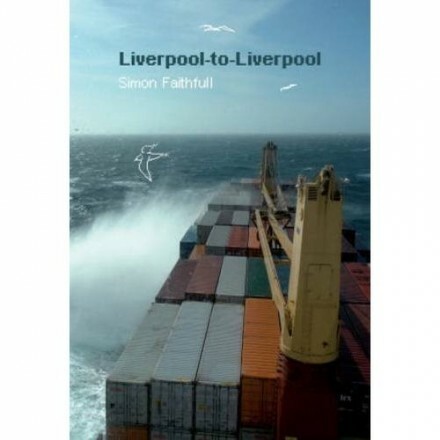 Liverpool to Liverpool tells the story of an epic journey by Simon Faithfull from Liverpool, UK, to Liverpool, Novia Scotia. Faithfull made about six drawings a day throughout his journey, documenting the minutiae of daily life on land and sea, from Liverpool to Liverpool, with his Palm Pilot. This book includes 181 digital drawings, and Faithfull’s often wry, imagist commentary on the landscapes he was passing through and the humans he encountered – from English Liverpudlians crouched under umbrellas to Canadian Liverpudlians with moustachioed lips and pick-up trucks – as he drew them. The book serves as a reminder of Liverpool’s maritime past, its historical dependence on the shipbuilding industry and transatlantic trade, and the survival of these global connections today. Both the words and images in this fascinating book attest to the survival of the texture and detail of individual everyday lives even in our restlessly mobile world. 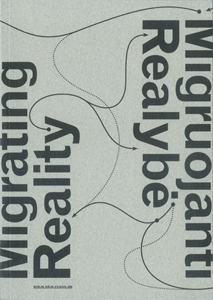 Location of I text by Martin John Callanan published in Migrating Reality book and conference. Verein zur Förderung kultureller Praxis e.V. A record of a long-running visual arts project that took place at venues across the east of England between 2004 and 2007, Silicon Fen considers how landscape in general (and the East Anglian landscape in particular) has been both affected and reflected by technology. Cluster Arts Magazine is launching on 7 December 2007! We are having a celebratory evening of audio and visual delights, followed by a late night DJ (and a VJ) so bring your dancing shoes! Martin John Callanan’s brilliant new book is a stroll down Albert Camus Lane for this artist whose work has consistently explored the clash between the fact of human existence and governments with digital databases which could delete anyone with a single keystroke. Any member of modern society can identify with Callanan’s letters to government authorities, in which he essentially – and subversively – challenges their right to define if he exists according to their records. Each letter poses a deceptively simple question or even inane rhetorical statement and the collected responses (from eminences ranging from the secretary to the Archbishop of Canterbury to the offices of President Mubarak of Egypt) reveal the absurdity of bureaucracy and the egos of those that claim power. A wonderful exploration from the London-based artist; one of his best-known projects transmits the phrase “I am Still Alive” to available cell phones, laptops and PDAs in a given area, a poignant plea for recognition from cyberspace.